The year’s best films are English-only, and they’re not the ones you might think. 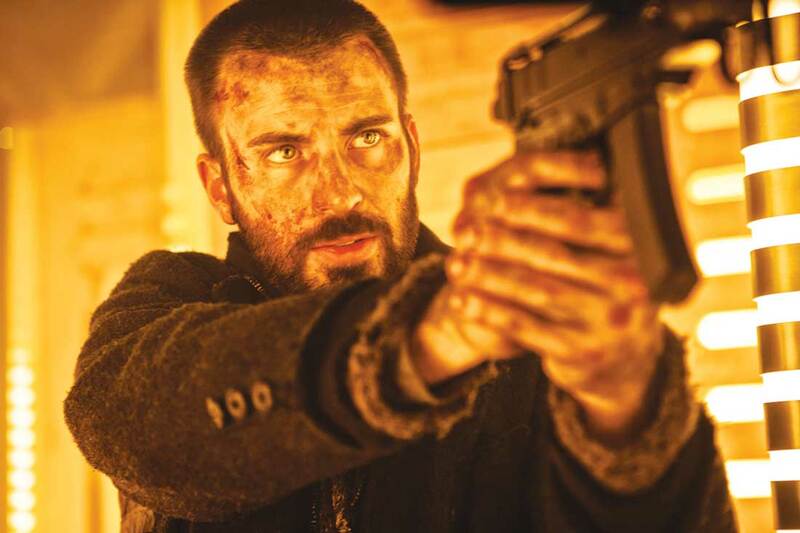 Chris Evans makes his way to the front of the train in Snowpiercer. I didn’t put any foreign-language films in my list of the year’s best movies. How the hell did that happen? Did the entire non-Anglophone world just have an off year? Did I watch all the wrong foreign movies? Or is this just the law of averages coming into play? If it’s the latter, then I guess we should expect this list next year to be entirely filled with movies in Farsi and Korean. In my defense, just about every film in my honorable-mention list took a spin in that No. 10 slot before a late contender bumped them all out, and most of them are in other languages. 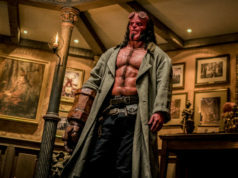 As in previous years, an asterisk next to the title denotes a 2014 film that has not been released in North Texas as of this writing. 1.) Snowpiercer. The mad Korean genius Bong Joon-ho transplanted himself to the West to work with Hollywood talent and turned out this wintry blast of dazzling originality. Satiric and apocalyptic, this science-fiction action-thriller gives breathtaking glimpses of a world plunged into a deep freeze, where the last remaining people are crowded aboard a train. Its brutal, bloody violence is cut with demented jokes and tantalizingly unexplained details — what’s the deal with that girl in the yellow coat who doesn’t even flinch when she’s hit in the head with a shoe? Tilda Swinton has never been funnier, Chris Evans never more rending, and Bong’s talent for the bizarre has never had a better showcase for an English-speaking audience. 2.) The Lego Movie. An animated movie put out by a gigantic toy company should be a crass, empty-headed exercise in product placement. It should not be this head-swimmingly funny film that builds eye-popping nonexistent worlds out of plastic bricks. Any corporate message gets lost amid Phil Lord and Christopher Miller’s delirious pace and their script stuffed with slapstick sight gags, puns, anti-capitalist satire, insights into the creative process, and in-jokes about Aristophanes and Star Wars. Plus, Morgan Freeman and Liam Neeson both make fun of the roles they usually play, and neither has ever been funnier. To paraphrase the insanely catchy techno song that Chris Pratt’s hero listens to, everything is very pleasurable indeed. 3.) Calvary. Who says Christian movies are no good? John Michael McDonagh fashions a foul-mouthed and terribly funny comedy out of a story filled with suicide, murder, economic depression, and institutional pedophilia. At the center of an Irish seaside village filled with sinners is a Catholic priest, a decent man and a loving father with currents of grief, rage, and violence that roil to the surface along with his frequent wisecracks. This churchman’s flaws and Brendan Gleeson’s volcanic performance in the role are precisely what makes witnessing his willingness to die for his fellow priests’ sins into a religious experience. 4.) A Most Violent Year*. J.C. Chandor continues to defy expectations. The maker of movies as different as Margin Call and All Is Lost now gives us a slow-rolling, riveting crime thriller (which actually isn’t that violent at all) set in the nest of corruption that was New York in the 1980s. Without any flamboyance and with easy mastery of dialogue and pacing, he unfurls the story of an elegant but quietly desperate Latino heating-oil supplier fighting on all fronts as he tries to expand his business in a metropolis dominated by white people. Oscar Isaac leads a sterling cast in this big-city epic that would have made Sidney Lumet proud. 5.) Neighbors. One rap against movie critics is that we’re too serious-minded to include movies like Nicholas Stoller’s laugh-fest in lists like this one. Well, I’m not. Moreover, this comedy actually runs deeper than it might seem, addressing issues like the pros and cons of frat-boy culture and the line between parenthood and adulthood amid all the usual (and very funny) college pranks and jokes about beer and weed. This testosterone-addled exercise wins extra points for making Rose Byrne’s young mother as big a source of comic chaos as any of the overgrown bad boys here. Raise a keg to this blacklight-lit bacchanal. 6.) Under the Skin. The movie where Scarlett Johansson finally gets naked is, I’m happy to report, a movie where she needs to be naked. Jonathan Glazer’s science-fiction film about a space alien consuming men on the mean streets of Glasgow is an enigma that will burrow its way into your brain, raising questions about your body’s relationships to yourself and to a world that’s constantly looking at you. The scenes of horror backed by Mica Levi’s wailing strings have a potency of their own, but this movie would not work with any other actress in the lead role. Johansson’s uncanny performance and her history as an underappreciated thespian who has too often been treated as eye candy act as a beacon in this almost inhumanly detached journey into human sexuality. 7.) The Grand Budapest Hotel. War and tragedy meet the prettified surfaces of Wes Anderson’s cinema, and while the prettified surfaces don’t win, they do score a moral victory. Set in a fictitious Alpine country in 1932, this movie largely takes place in a resort hotel, a refined, hermetic world about to be swept away by the destruction of World War II. Yet Anderson’s sense of humor — more profane here than usual — helps him avoid the trap of nostalgia. In addition, Ralph Fiennes gives the greatest performance of his career as a concierge whose well-mannered facade keeps slipping during the madcap capers. Hidden underneath this movie’s bright, sparkling comedy is an affirmation that culture and the creative spirit will eventually triumph over the world’s tyrants. 8.) National Gallery. Really, who better to take you on a tour through a bunch of Old Master paintings than an old master? That would be 84-year-old Frederick Wiseman, who was making great documentaries five decades ago and is still making them now. His latest is this three-hour-long dive into the inner workings of the hallowed London museum. We get not only sumptuous glimpses of the art on display but also extended looks at all the jobs done by the museum’s personnel: administrators, curators, educators, conservators, framers. We even drop in on an art appreciation class for blind people. The unglamorous work of preserving and promoting our cultural heritage has never looked so rewarding. 9.) Blue Ruin. You’ve seen revenge thrillers, but you’ve never seen one quite like Jeremy Saulnier’s low-budget film. The main character is a homeless guy who seeks retribution after his father’s killer is released from prison, and though he’s doughy and dweebish, he’s also determined and resourceful under pressure. These latter qualities don’t make him heroic, though, as his quest for payback winds up taking down a whole lot of other people as well. A first-time filmmaker, Saulnier shows just how grubby the business of revenge can be, but you don’t have to appreciate his subversions to find this smoothly directed outing intelligent and compulsively watchable. 10.) The Babadook. Is it scarier being the parent of a child who’s violently mentally disturbed? Or is it scarier being the child of a parent who’s like that? This Australian horror film taps unforgettably into both fears, and the result makes vampires, werewolves, and zombies look completely passé. Anchoring the film with a fearsome performance, Essie Davis plays a widowed mother who’s already drained from grief, depression, lack of sleep, and constant stress from dealing with a little boy who’s afraid of everything. Then the kid reads about a flesh-eating demon in a children’s book and starts seeing it everywhere. Worse, the Babadook just may be coming from Mummy herself. Jennifer Kent’s magnificent debut is the sort of horror movie that will follow you around for days. Honorable mention: Ava DuVernay’s vibrant, impassioned civil rights history, Selma*; David Fincher’s corrosive marital murder mystery, Gone Girl; two ruthless deconstructions of American myths, Bennett Miller’s Foxcatcher and Dan Gilroy’s Nightcrawler; Lukas Moodysson’s raucous study of Swedish teenage punk rock girls, We Are the Best! ; David Gordon Green’s backwoods tale of anger and redemption, Joe; Matthew Warchus’ rousing drama of gay rights and labor rights, Pride; Isao Takahata’s rapturously beautiful animated fable, The Tale of the Princess Kaguya; Talya Lavie’s highly amusing Israeli military office comedy, Zero Motivation; Lucía Puenzo’s gripping story of a family under a Nazi’s sway, The German Doctor; Damián Szifrón’s insane collection of vengeful vignettes, Wild Tales*; Pawel Pawlikowski’s austere Polish religious drama, Ida; Mike Leigh’s penetrating biography of a great British artist, Mr. Turner*; Frank Pavich’s inspirational documentary about an unmade film, Jodorowsky’s Dune; and Richard Linklater’s unique 12-year epic, Boyhood.